Choosing the best-quality bathroom countertop material can be a challenge. After all, you would want to get one that looks attractive and can last for years. One popular option is using granite countertops. You can have yours by contacting granite countertop installers near you. Experts say that countertops made from granite are among the most highly-recommended for bathrooms. Aside from its attractive and classic look, granite countertops can also tolerate moisture. This trait is crucial when looking for a durable countertop for your kitchen and bathroom. That said, its popularity may seem to last for years to come. Such type of countertops has its own set of pros and cons. By knowing these, you should be able to decide whether a countertop made from granite is the right choice for your home. It is durable and long-lasting. Granite stone is durable and long-lasting. It is also resistant to scratches, cracks, chips, and other damages. Likewise, granite material is also heat-resistant unlike other countertop materials like laminate and wood. That said, countertops made from granite material may not need a replacement for several years. Apparently, any types of chemicals cannot easily damage a granite countertop material. However, make sure not to abuse your countertop as too much exposure to chemicals may deteriorate its sealer. In effect, you may have to reseal it earlier than scheduled. For best results, your countertop should be taken care of by granite contractors during the installation process. When properly installed and sealed, it can help resist the occurrence of bacteria, dirt, and any other staining and potential damage on the countertop. At the same time, a properly-installed countertop can make maintenance easier and hassle-free. It can help boost your property’s value. Not only a granite countertop can make your bathroom and your entire home attractive but also highly-marketable. In fact, it can produce a return of investment of as much as 100 percent. Because it’s naturally durable, it offers value-for-money for a lot of homeowners. It is pleasing to the eyes. One of the major deciding factors when choosing any item for personal use is physical appeal. The same applies when buying a countertop for your home. Its natural and classic appearance can suit all types of homes. It is a porous material. Being porous, it means it may absorb liquid substances when left on the surface for a long time. As a result, it can potentially damage the countertop material. However, this can be prevented if you wipe off the countertop immediately and prevent potential damage. To lessen its porosity, sealer is applied on the granite material to protect against rapid liquid absorption. Aiming for high-quality countertops come with a price, literally. While not all granite materials are expensive, make sure to budget a good amount of cash if you want to have a nice countertop for your home. This does not include the fabrication and installation costs yet. It has limited color options. Since granite is a natural stone, it offers limited colors and patterns. If you want a wide assortment of color and pattern options you can choose from, opt for quartz and laminate materials. Granite is a naturally-beautiful countertop material. It also offers several benefits which makes it a great choice for your home. However, granite material can be expensive, depending on the type of granite you choose. On a positive note, you can still get granite material even when you’re on a budget. Usually, a standard granite countertop may cost about $50 to $60 per linear foot, including installation and materials. While it may not be of the highest quality around, it does have its classic beauty nonetheless. On the other hand, higher-quality granite material can cost as much as $70 per linear foot. It also offers durability and resistance against scratching and other types of damage. For high-end granite material, expect to shell out as much as $200 and above per linear foot. No matter where you are going to use the countertop – the kitchen or the bathroom – it is important to choose the one you can use for many years. Also, make sure to have yours installed only by the best granite countertop installers in Raleigh. Choosing the bathroom vanity countertop material to remodel your bathroom can be an uphill task since they are different kinds of materials you can use. When it comes to bathroom countertop the biggest decision is mostly on cost and style as there is not so much activity in the bathroom. The material you choose should bring out beauty and elegance. To get a visual look of the materials to use visit the granite company and consult with the various materials available. In this article, we take you through the various material you can use for the bathroom vanity countertop. If you move into a house with a bathroom model that old fashioned then you will need to change the look of your bathroom to a more modern one. The bathroom space you have may be too crowded and you are looking to make better use of the available space. Over the years, granite has continued to retain the top spot due to its beauty and variety of colors and patterns. Granite bathroom countertops will give you the option to complement your bathroom cabinets to bring out a stylish and a classic bathroom. Countless options when it comes to color and pattern. You will find a match for your bathroom. Granite is heat resistant, durable and once sealed will need minimal maintenance. Granite countertops will perk up the value of your house. Granite is sensitive and delicate and it’s crucial that it’s installed by an expert for the best outcome. The granite installer will also be able to advise on how to clean different countertop materials. The solid surface is made of crushed stones bound by acrylic resin. It’s a homogenous countertop that comes in a variety of colors. It’s one of the most nonporous surface making it one of the easiest and simple maintenance countertops available. The nonporous nature will help in keeping bacteria and soap stains away in the bathroom. Homogenous in nature making it easy to match with the bathroom cabinets. Easy to repair in case of damage. Marble is an extremely beautiful countertop that will give your bathroom such an outstanding look. Marble countertops come in a variety of color and give you the chance to choose one that best suits you. Quartz has been in use as a bathroom countertop for years and its one of the hardest stone. Quartz is stain resistant and it’s therefore ideal for your bathroom countertop. Silestone is known for its durability and the porous nature, its stain resistant and it’s therefore ideal for bathroom countertops. Whether you choose a granite countertop Durham, quartz, marble or Silestone material that you choose should bring out the elegance of your bathroom space. 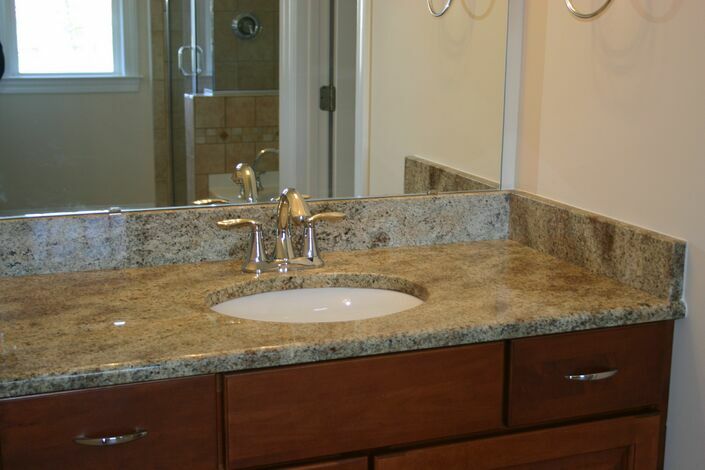 Consult the granite company on the best option for your bathroom. Take into consideration the use of the countertop, the number of people using the bathroom and your budget while choosing the material. Some materials will work best in small spaces, while others are perfect for huge spaces. With the above knowledge on each material choose one that will bring the beauty and elegance of your bathroom. Looking for an amazing countertop material for your new kitchen? Thinking about replacing old bathroom countertop? Well, if so then look no further than granite countertops. 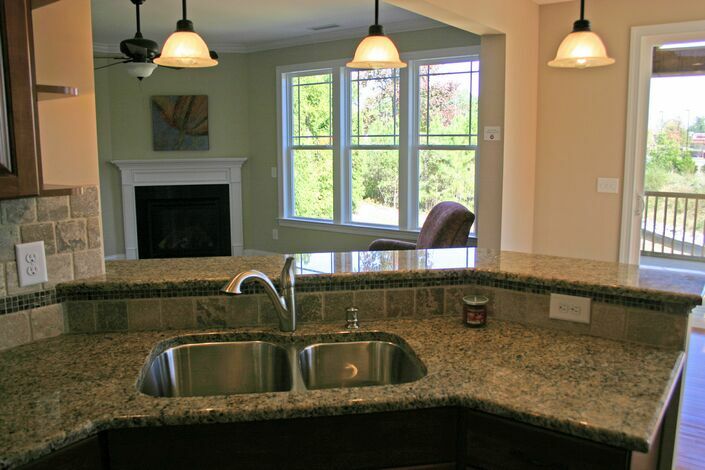 The granite countertops are ultimate choice for both kitchen counter and bathroom vanity. Granite has been loved for millennia for its durability and beauty. It was used by ancient Egyptians in the construction of pyramids, and it still continues to grace modern kitchen decors. It is a distinctive stone in terms of both structure and appearance that persists to meet the increasing demands of homeowners and interior decorators. Granite is popular as the countertop material since a long time. Despite of the availability of cheaper materials, granite still has the strong hold on the countertop market. This material has its own charm that it is loved by generation after generation. Granite countertops never go out of trend. They always increase the beauty and value of house. However, it is always advised to invest in good granite countertop material to enjoy all the amazing benefits of the granite. Take sneak peek over below mentioned information to understand the striking features of granite countertop. Granite countertops are made from igneous rock having a holocrystalline structure. That implies that the crystals that make this stone are not fully develop, instead, they are grown into each other. This interlocking structure of crystals makes granite very durable and provides it the crystal look for which it is famous. You can run knife, put hot iron or drop cosmetics o the granite surface. It won’t get damaged. You can enjoy granite countertops in your bathrooms and kitchens without worrying about damage. 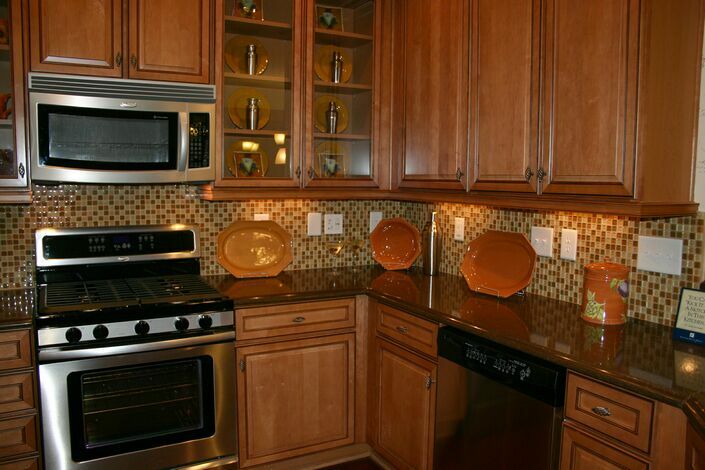 Apart from annual sealing, granite countertops do not require much maintenance. You can clean these countertops with just wet cloths. Granite countertops are available in oodles of colors and textures. The granite crystals form variety of textures. Every granite slate is different from other. And it comes in different colors such as –black, grey, orange, dark green etc. With so many options to choose from, it is unproblematic to select the countertop that will fit in with your bathroom or kitchen design and yet remain timeless. Despite of all the benefits, granite countertops are affordable. You just need to locate the best granite countertop company. The Most Common Granite Countertop Questions: Answered! Granite is the first name that comes in mind when homeowners think about countertop replacement. Be it bathroom countertop or kitchen countertop, granite is the first choice of homeowners. Granite is popular countertop choice because of obvious reasons. This material has plenty of benefits. Even the availability of plenty of natural stone and manmade countertop materials is not able to decrease the popularity of granite countertops. Still many people have many doubts regarding kitchen countertop replacement. Is granite a good kitchen and bathroom countertop? Granite is apt material for kitchen and bathroom countertop. This material is heat and scratch resistant. It means granite can withstand hot pans, knives, flat iron etc. They can be installed above kitchen cabinets as well as on bathroom vanity. Granite countertops are available in plenty of colors and textures, which look good in both kinds of settings. What are the alternatives to granite countertops? There are many alternatives available on the market for granite countertops, such as marble, tile, bamboo, silestone and quartz. Each material has its own benefits. You should consider pros and cons of every material before finalizing any material for your kitchen or bathroom countertop. Granite is a natural stone. Each and every slate of granite is different from other. It means no two granite countertops will have similar designs. This material is heat resistant, germ resistant, scratch resistant, and low maintenance. It is not possible to get all these benefits in one countertop option. What are faux granite countertops? Faux granite countertops are not actually the granite countertops. It is the cheap solution to get look and feel of the granite countertop. Actually, you can paint your old countertop with certain solution to make existing countertop look like granite. It can be one of the cheapest countertop replacement techniques, as you neither need to purchase the new countertop nor need to invest time and money on the countertop installation. But at the end you will get the new countertop. So, if your existing countertop looks old or you want to give fresh look to your kitchen, faux granite is the solution. Is granite an expensive kitchen countertop option? Yes, granite is an expensive countertop material. Its price is higher than the most of the countertops available on the market. However, this countertop worth every penny you spent. Consider purchasing countertop from reputable and trustworthy countertop company. Granite has always been valued for its durability and beauty. This material was used by ancient Egyptians to build pyramids and still this material is gracefully complimenting the kitchen decor. Granite is an inimitable stone both in terms of structure and appearance that meet the different demands of homeowners. Granite is the first choice of homeowners when it comes to kitchen and bathroom countertops. This material is suitable for kitchens as well bathrooms. Granite is one of the most durable materials. It is the igneous rock formed with interlocked crystal. That makes it impervious to cracks and chips. This material can bear load, stress and heat. Granite is beautiful natural stone. It is available in plenty of colors and textures. The scintillating surface of granite is quite hard to resist. This material looks good in kitchen as well as in bathroom. 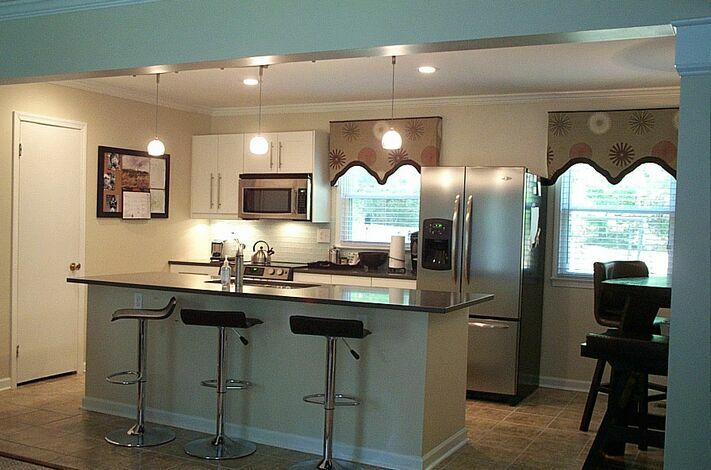 Despite of your kitchen décor style, you will find a granite countertop to match it. The colors and textures of granite countertops can complement any kitchen decor. Along with being versatile for decorating, granite is also amazing surface for cooking. The feel of finished granite is unbeatable. The rich and soft smoothness of granite feels so good when you touch it. Granite is one of those materials that can give you a handsome return of your investment. If you are thinking about selling or renting your home, you can opt for granite. Granite surface is not affected by heat. You can put hot pan and pot on the granite. Similarly, granite is scratch resistant as well. This surface does not get worn out by knives and spoons. 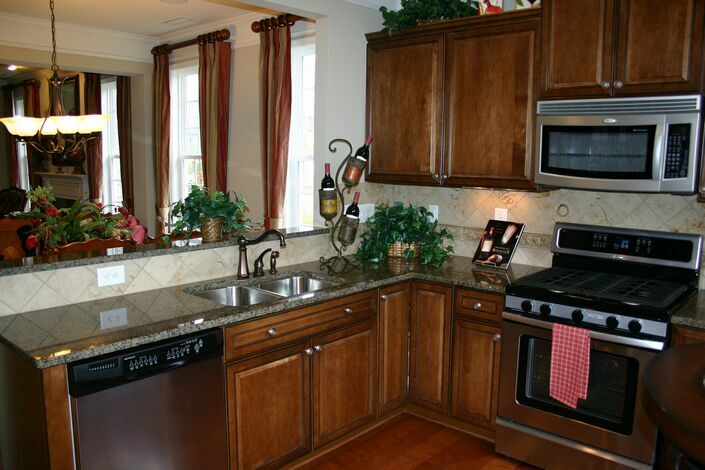 Granite countertops Morrisville nc are easy to clean and maintenance. You just need soap water and cloth to clean the granite surface. Earlier marble was found in palaces, temples and other holy places. Marble is a beautiful stone. Its natural color, natural shine and natural texture distinguish it from other materials. Along with being beautiful, marble is a durable, heat resistant, scratch resistant and long lasting material. Before making its way to your kitchen and bathroom countertop, this amazing stone has rich history of artistic and architectural use. Still marble is used for making sculptures, temples and flooring. Marble is the first choice when artists want to craft statues. This strong material has its own beauty that augments the beauty of the art. Marble is easy to sculpt and every detail can be seen on this surface. People often judge book by its cover. This is the reason why jewelry case needs to be as beautiful as jewelry. Marble jewelry cases look amazingly beautiful. Marble has its own charm, plus these cases have beautiful designs painted on them. Marble floors are very common these days. This material is naturally cool. So, marble flooring is ideal for hot places. Moreover, marble floors provide rich and royal look. They are easy to clean and maintain. Marble fireplaces are common these days. Since this material is capable of withstanding heat, many luxury houses features marble fireplaces. The fireplaces made up of the marble are easy to clean and maintain. Marble can be cut in any desired shape. This is the reason why marble benches are available in various designs. Marble is one of the most popular materials when it comes to kitchen and bathroom countertops. This material is apt for both kitchens and bathrooms. You just need to find the right marble contractor to properly install the countertop at your bathroom or kitchen. Are you looking solid vanity top for your restaurant bathroom? Are you searching a luxury countertop for your 5-star bathroom? Or are you searching for colorful countertop surfaces for a kinder-garden bathroom? Well, if so, then there are plenty of bathroom vanity tops options available on the market that can fulfill all your needs and requirements of your commercial bathroom. Vanity is one of the important parts of the bathrooms. It plays vital role in the commercial bathroom. And vanity top is the integral part of the vanities. It is the vanity top that has to deal with wear-tear, soap spills, chemicals and water all the time. The vanity top material you choose should be capable of withstanding all these things without sacrificing its look and feel. Commercial bathrooms remain busy all the time. Make sure that the vanity top material you choose offers good resistance against scratches. If your vanity top develops scratches, it will lose its shine. Thus, it will ruin the appearance of your luxury bathroom. A vanity top should not require much maintenance. In commercial bathrooms, countertops get used 24*7. Make sure that the vanity top material you choose does not get dirty easily and is easy to clean. It is not possible to clean the countertop after every use. If your countertop gets dirty easily, it will make your entire bathroom appear dirty, and this could affect your business. A vanity top should complement the décor of your bathroom. Today, you can find many materials, colors and textures in the vanity top materials. Make sure you choose the vanity top that go with the interior of your bathroom. Requirements of bathroom countertops are different from kitchen countertops. It is important to check the resistance of material against water, stains, chemicals and oils, when you choose the bathroom countertop material. Every commercial bathroom has its own budget, and countertop materials are available in wide range. It is important that the bathroom countertop garner nc material you choose fits within your budget specifications. You should find the apt countertop contractor for this purpose. Choosing a kitchen or bathroom countertop is often about aesthetic value, durability and of course the price. However, these are not the only aspects that you should consider. A socially responsible homeowner should consider the impact of the countertop material on the environment and health. There are some countertop materials which are environmentally friendly while some materials are not safe for the environment. It is your responsibility to not to promote the use of materials that are dangerous to environment. If you think that environmentally friendly countertop materials will not look good or will be expensive or will require more maintenance, then you are wrong. There are fantastic countertop materials which are not only environmentally friendly, but also fulfill needs and requirements of homeowners. Marble and granite are the most popular countertop materials. The good thing about these natural stones is that they are environmentally friendly. These countertop surfaces last for long period of time and are fully recyclable. However, process and transportation of these countertops requires a lot of energy, which is a big toll on environment. Engineered quartz is a manmade countertop material which consists of 90% quartz. This material utilizes polyester resin and pigments to get colors. The impact of quartz on environmental is low, as the raw materials are locally sourced, and fabrication also done locally. Thus, this manmade countertop is quite good in terms of environment friendliness. Many homeowners think of concrete as a standard dray material, but painted concrete countertops are actually beautiful. Concrete is a good countertops material due to its to heat and scratch resistant quality. Manufacturing cement needs considerable energy and the concrete countertop processing create a lot more pollution than most countertop materials. The processing of the concrete countertop is not good for environment. Wood countertops are aesthetically pleasing. While cutting down trees may appear not safe for environment, but most wood countertops come from forests and made from fast growing tree species such as bamboo. Bamboo countertops are one of the most environmentally friendly countertops. However, their transportation is a big toll on the environment. How to replace bathroom vanity top? A new vanity top can add style to your bathroom décor. If your bathroom vanity looks abraded, too big or just not right for your bathroom, you can change it. Changing bathroom countertop is not as difficult as changing kitchen countertop. With the help of DIY hacks and tools, you can replace bathroom vanity top by yourself. Bathroom vanity top installation is a time consuming yet quite easy. However, you should get your facts clear about countertop installation before doing this task. If not handled with care, you may end up breaking your vanity or countertop. Take measurement of vanity base using measuring tape and note down the measurements. According to these measurements, buy a new vanity top. The countertop you choose will depend on the available area and your personal taste. You will find a number of countertop materials options. Some popular vanity top materials are –granite, marble and quartz. The countertop material you choose should possess water, scratch and stain resistant quality. When you start installing your vanity top, turn off the water supply to the bathroom. Detach the drain pipes from the sink unit with the help of a pipe wrench. Then detach the supply lines from the faucet assembly. Use a screwdriver to reach inside the vanity base and remove the securing clips that hold the countertop in place. Remove the old countertop by lifting it and set it aside. Check drain lines and water supply pipes for damages. Change them if required before you start installing the new vanity top. Put a level on the vanity base edges and check that level from front to back and side to side. Place the countertop on the base of vanity and level it. Fix the vanity top using a screwdriver. Install the new faucet on the vanity top by following instructions given by manufacturer. Connect the water supply lines again. You can easily install vanity tops by following above mentioned instructions. And if you are not comfortable with installing countertop on your own, you can contact a bathroom vanity top contractor for installation.